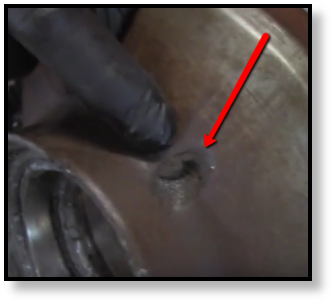 In this video, you see the unsightly aftermath of a front bearing failure in a T180 / T190 Bobcat compact track loader. This particular model of track drive had two drain plugs that looked as if they had never been opened. Failure might have been avoided through changing out the oil that those drain plugs provide access to. However, since bearings have a limited life-span, it may be that it was simply time for the bearing to be replaced. That said, there would have been warning signs that the final drive bearings were about to go out before the damage got this bad. One of the warning signs will be noise or excessive vibration. 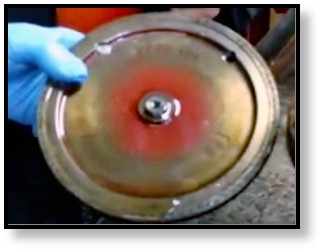 If your final drive motor is making unusual noises or vibrating, that is not a good sign. It could be a problem with the charge pump, or it could be a bearing issue. While its true that final drive motors are already warm when they are running, you don't want them to overheat. Overheating occurrs if water that comes into contact with the final drive starts to steam or the final drive is too hot for you to rest your bare hand on (assuming it hasn’t been sitting in direct Texas sun for several hours!). Finally, if you see metal particles in the gear oil when you drain it, then you might be looking at some bearing issues on the gear hub side. If the inside of the cover plate looks coppery, that's a bad sign, too. Those brass metal flakes are coming from somewhere, and there's a good chance that it could involve the bearings. To maximize the life of the bearings on the planetary side of your track drive, check and change the gear oil according to the manufacturer’s recommendations. Ideally, you should check the oil level about once every 100 hours of operation, and change the oil out at least once a year (every 250 hours of operation is better). This particular final drive had two plugs -- one is shown below -- hidden behind mud and debris. This plug provides access for the mechanic to check lubricant levels and to change out the lubricant that keeps the front bearing in good shape. If it's blocked, it can't do its job! One of the major reasons you need to change the lubricant is contamination. 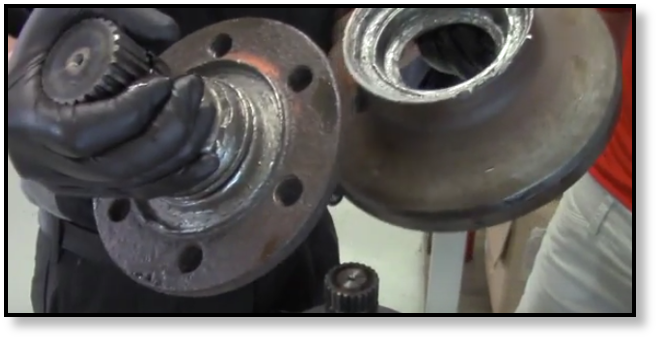 Both outside contamination and generated contamination can seriously damage the bearings, causing cascading damage that can total your final drive (just like what we saw in the video). However, keep in mind that bearings are not meant to last forever. They do eventually have to be replaced. Final drive bearings are a very important part of your propel motor, and when you keep running a final drive with bad bearings you’ll probably have to replace the entire final drive. 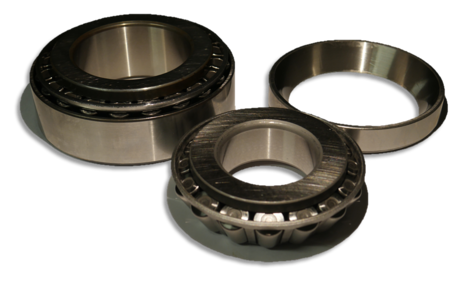 Keep an eye out for the signs of impending bearing failure, and feel free to give us a call if you think it's time to replace those bearings!